Usually when I think about having writer's block I associate it with the feeling that you have no idea what to write. But I guess that is not really quite accurate. Maybe more often it is the case that you have so many ideas that you don't know where to start. At least that is how I feel right now. I have so many subjects I could write about that choosing one for the very first post on a brand new blog is difficult, to say the least! 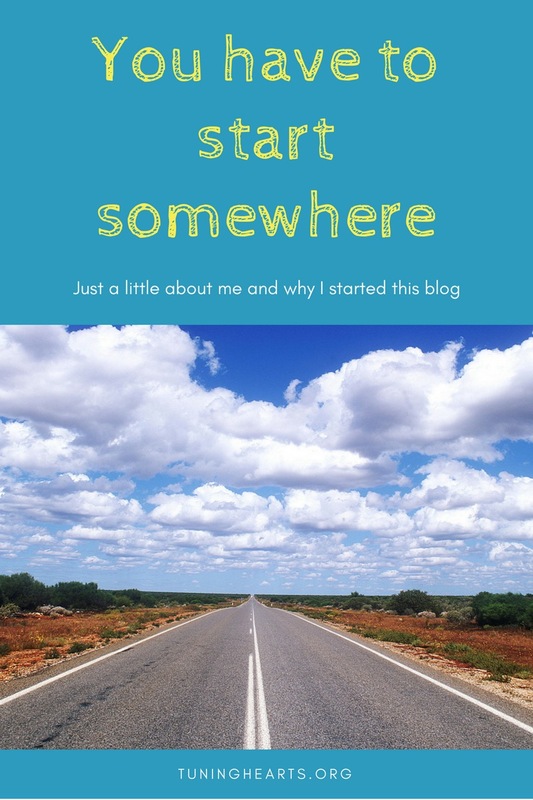 But I really do have to start somewhere, so I suppose the most logical thing to do would be to write a bit of an intro to me and my blog here. I actually already have a little bio of me and my family on my About page, so if you want to read that, click on over there. I feel like being a bit more informal in this post, though. This is not my first blog, but it is the first I have started with a real purpose and direction in mind. I have previously blogged mostly about my hobbies, especially knitting and crochet, and for several years I owned an Etsy shop where I sold handmade goods and patterns I designed. Once I started homeschooling my son, the same year I also gave birth to our daughter, I found I simply did not have the drive nor the time to continue that business. I still do some crafting for my own pleasure, but not anywhere near to what I did when I was filling orders on a regular basis. Since most of my blogging was centered around those pursuits, when I closed my shop, I pretty much quit writing, too. And I never really missed it until recently. When I discovered the classical Charlotte Mason method of homeschooling, I simultaneously regained a lost love of reading. I also started finding a wealth of helpful information online via homeschooling and classical education blogs. After a while, I started to wish I had a format where I could share what I was learning and reading and thinking, not just about home education, but about life in general. I do post quite a bit on Instagram, but that format has its limitations. I realized that maybe it was time to return to the blogosphere as an author, not just as a reader. I hesitated for a long time because I wasn't sure I had much wisdom or anything new to say that hasn't already been said a hundred times. But even in the mundane, average, realness of my life, there are things that are unique to me and my family. I have had a unique set of experiences that have shaped me to be who I am today, and perhaps sharing some of those things here will help or encourage someone else along the way. I have a major sweet tooth. Don't hand me a bag of jelly beans unless you don't ever want to see it again! My parents will either tell you they made up my name by mixing up the letters in "Kelli," or based it on a TV character's name, depending on who or when you ask! I have been on 4 continents and in 7 countries, but never Canada. I could eat pizza, Mexican food, and Thai food on an endless rotation and be perfectly happy. I cut my own hair. Yes, I really do. It is naturally curly and hides mistakes really well! I cannot read distopian fiction. I get extremely depressed if I do. The Lord of the Flies horrified me (as it was supposed to, I am sure! ), and I put down 1984 without ever finishing it. One of my childhood hobbies was recording myself reading books on a cassette tape recorder. I still kind of think it would be fun to be an audio book narrator! So, that's it! There. . . I started! I am so glad you are along for the ride!